The 10 Best Bike Shops in Oklahoma! Many towns across Oklahoma are bicycle friendly. In fact, you can find hundreds of miles worth of bike trails all across the state. This means you won’t have to travel very far to find a great bike shop. From tune-ups, to new bikes, to high-quality gear, these 10 bike shops are among the best in the state! Open seven days a week, Schlegel Bicycles has been named America’s Best Bike Shop for three years running. 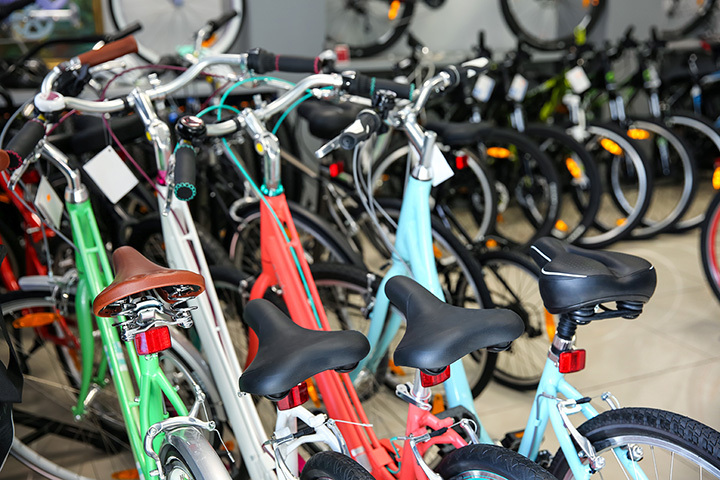 You’ll find a huge inventory of different types of bikes and equipment, as well as information about local groups when you stop by. The Bike One staff are avid cyclists themselves, which means you’ll get great service to help you find what fits for you. There’s also a location in north Oklahoma City to find the bike gear you need to stay safe no matter where you ride. The Bike Shop serves northwest Oklahomans with high-quality bikes and equipment for taking on the trails in Enid. The city has plans to develop many trails to encourage biking in the area. The reviews of this bike shop say that it has “amazing service.” When you’re cycling around Lake Murray and need repairs or gear, this one-stop bike shop will get you fixed up. Apex Bicycles will help you find a new bike or tune-up your older wheels. You can get involved with the local cycling club or just find a buddy to ride with. The owner has been fascinated with bikes since he was a child, and he wants to help Oklahomans find the same love of riding. To stay fit through the winter, 360 Bicycles offers indoor spin classes, but when spring gets here, the focus is on outdoor biking. You’ll find group rides, service and equipment at this store just north of the Tulsa metro. T-Town Bicycles has two convenient locations in the metro. This store has been serving Tulsans for more than 25 years with high-quality biking equipment and services. Check out their calendar of local rides or get information about buying your first mountain or touring bike. Bixby Bicycles is a fairly new shop to Oklahoma. It just opened in 2014, but the shop owner has more than 40 years of experience as a mechanic and consumer in the cycling community. This bicycle shop is located in a restored 100-year-old building, but there’s nothing nostalgic about the types of bicycles you’ll find here. The staff is knowledgeable about riding to help you find the right bike and equipment you need for the way you want to ride. Paceline Cyclery has been serving the college students of NSU since the early 1990s. You’ll find great bike equipment at this store that has never stopped growing.